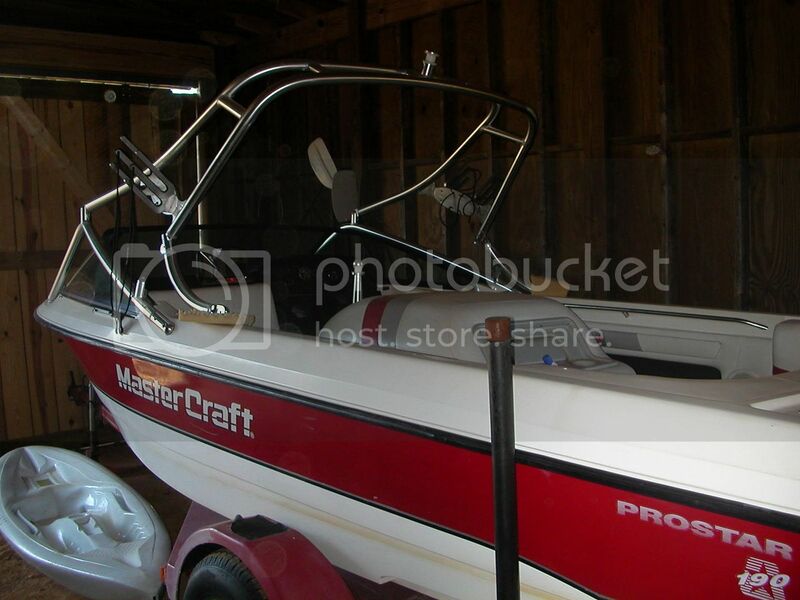 Since I am new to the whole detailing and pampering scene, I am looking to experiment on our old 1991 Mastercraft 190 (just switched to Malibu ) that we are going to sell once it is presentable. The trailer is very faded from its original red color, and that white stuff is wax I think. 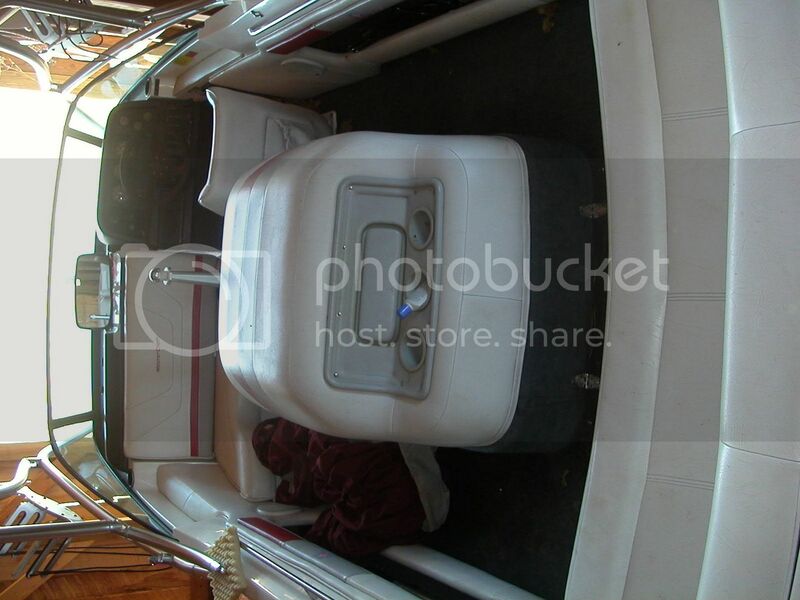 The interior has some mildew and mud on it, and the carpet is pretty dirty. 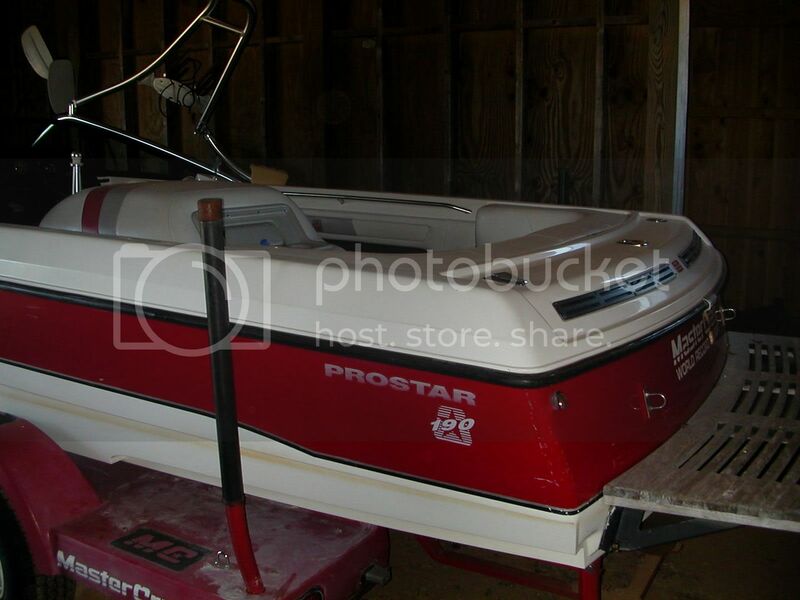 The outside doesnt look to bad IMO, but there is line of grime from when our lift was broken and it had to sit in the water. I want to get rid of some scratches and make it really shine. The teak is also very faded. 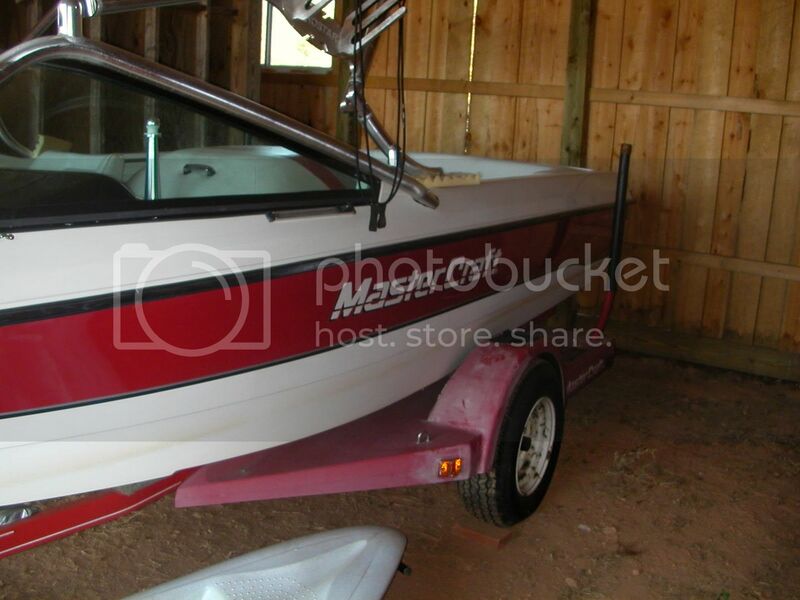 I already have some Meguire's Color-X, and some Babes Boat Bright and Seat Soap. Is there anything else i need for the exterior? Could i use meguires for the trailor? What brand teak oil should I get? And last, what should I use to remove the mildew? This is my first time detailing anything, so any tips or instruction on how to do things such as oiling the teak, and restoring the old color and shine to the outisde of the boat would be great! Trailor fade & attempted wax? That boat should puff right up. My $.02. I like Collinites #920 Fiberglass Boat Cleaner for the hull and deck followed by Collintes Fleet Wax. 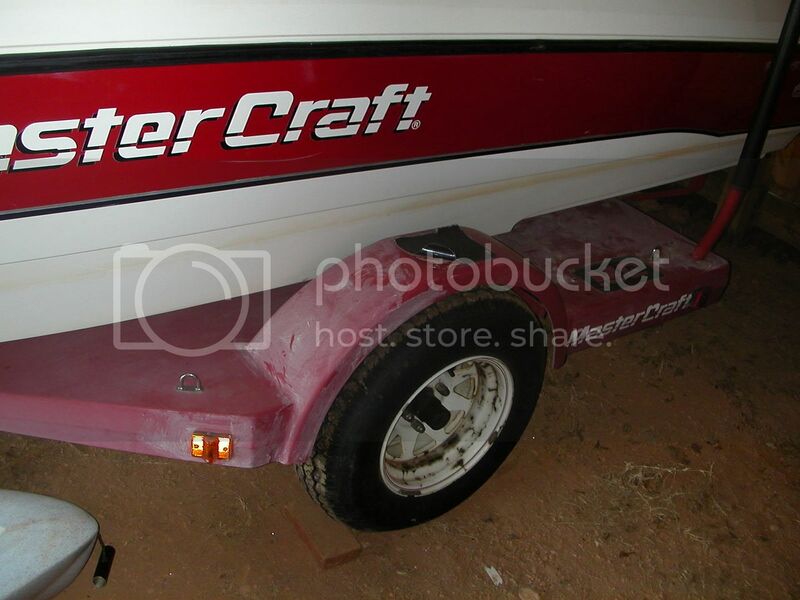 I'd use the old formula Turtle Wax paste on the trailer. Fantastic and 303 on the vinyl. Vacuum and Nappa auto carpet cleaner on the carpet. If you have access to a real carpet cleaner, they work wonders. Good luck. That boat looks like it should clean right up. 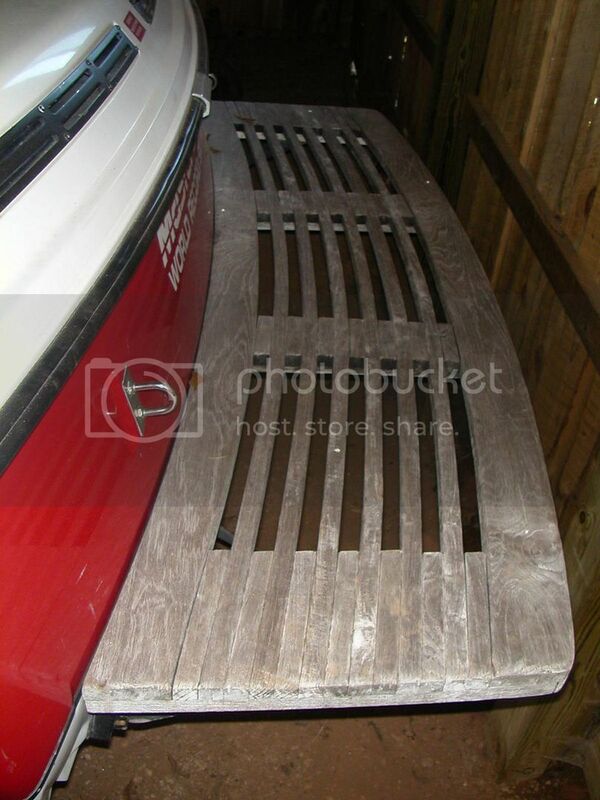 Use the Starbright 3 stage teak cleaning kit on that platform. It will look good as new. When your done make sure you put it in th marketplace at www.tmcowners.com Lots of people looking for that vintage MC. 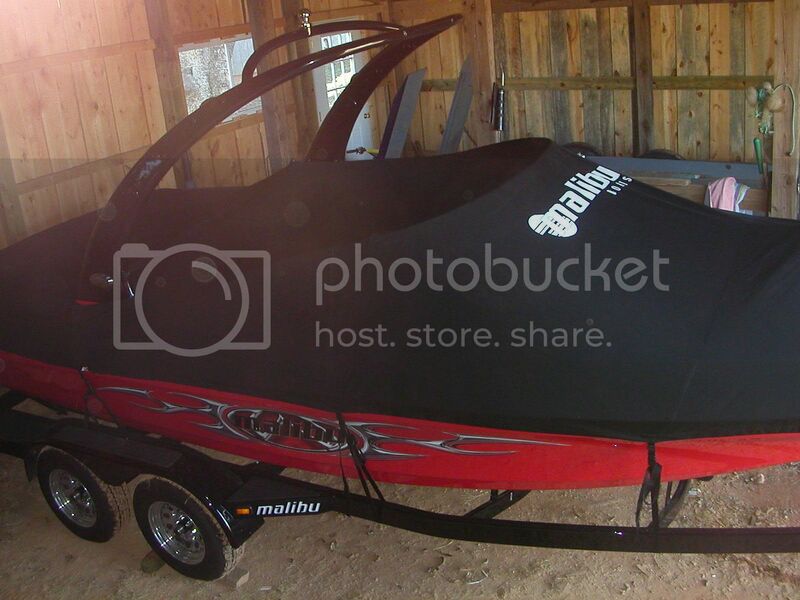 Arguably one of the best skiing boats ever. Tony's Topical Toilet Tonic ® should help with the gel coat stains. Looks like a lot of elbow grease should clean her up pretty good. Is that a Blaster hanging out behind the new Bu?